MOSCOW (Sputnik) - The Nord Stream 2 gas pipeline project is purely commercial and has no political background, Kremlin spokesman Dmitry Peskov said on Monday. "We know that some countries express their disagreement. But we would like to reiterate that this project is purely commercial, it has no political background. Attempts to somehow disrupt the implementation of this project would certainly be a violation of the principles and norms of free competition," Peskov told reporters. Earlier on Monday, Ukrainian President Petro Poroshenko said that Kiev was establishing a group of EU member states which will seek to stop the construction of the Nord Stream 2 natural gas pipeline. 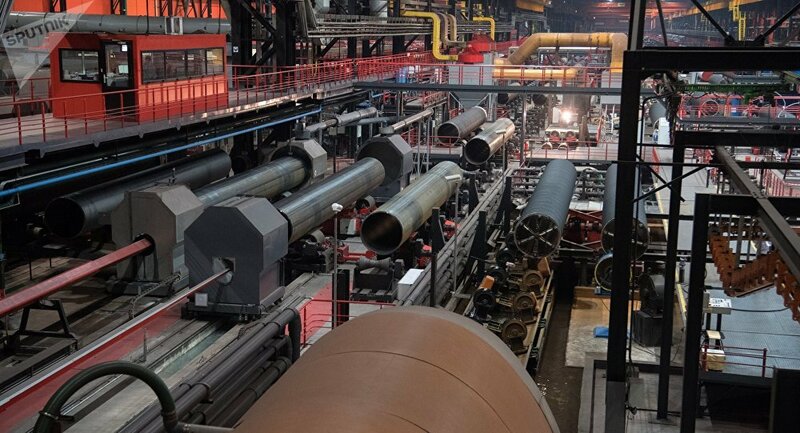 The day before, Rada Deputy Chairperson Oksana Syroyid issued an alarmist warning to Kiev's Western partners about the "threat" she says was posed by the Nord Stream 2 pipeline project between Russian giant Gazprom and five Western European energy firms. Nord Stream 2 envisions the construction of two gas pipelines running from the Russian coast north of St. Petersburg through the Baltic Sea to a hub in northeastern Germany. From there, the gas can be delivered to the countries of Central and Western Europe, including the Netherlands, France, and the UK. The project is a joint venture between Gazprom and West European energy concerns Uniper, Wintershall, OMV AG, Engie and Royal Dutch Shell.